Hello and Welcome to our fun and inspiring colour Challenge. 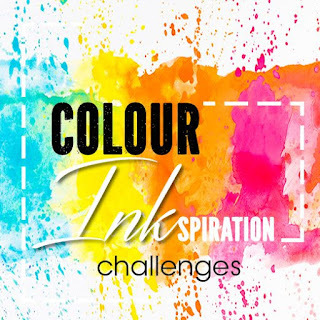 Our team finds some stunning images from Pinterest to use as our colour INKspiration challenge. This time the challenge is Basic Black and Whisper White, with a pop of colour. When I first created the project I had in my head, I got just a bit too carried away with my Pop of Colour, and it looked like I wasn't really featuring Black and White at all!!! So I pulled apart my card, and used Black as my card base, added some more Black elements and tried to reduce the impact of the Petal Pink on the overall project. 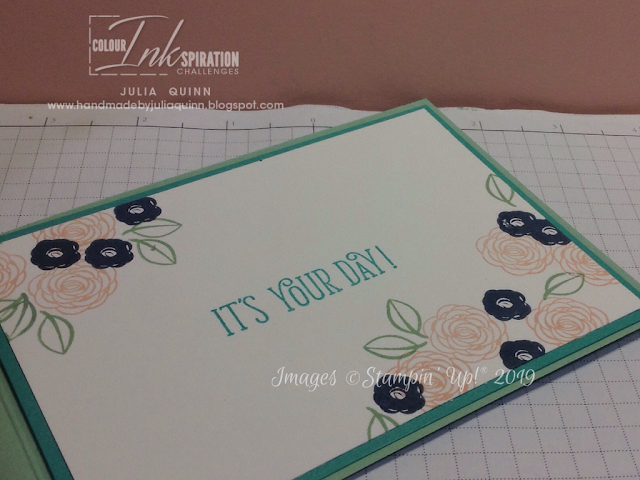 My Pop of colour comes from Petal Pink sponged using one of our Pattern Party Decorative Masks, and then also sponging onto the centre of the stamped and punched butterfly. The Black elements are from the gorgeous black shimmer ribbon, the Faceted Dots and the stamping. The rest of the team has some really stunning projects inspired by these colours - you must keep hopping all the way around! Up next is Jacque's super sweet project!! 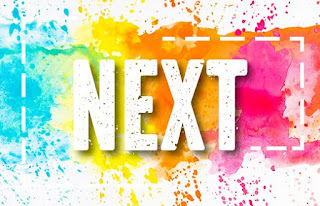 Are you so inspired you want to have a go using the colours this time? 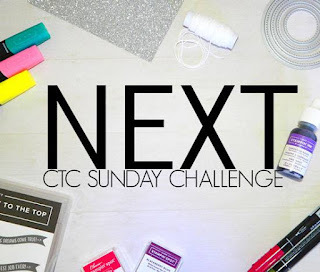 We'd love to see your project in the lineup on our facebook challenge page. You are very welcome to join in the fun with us!! 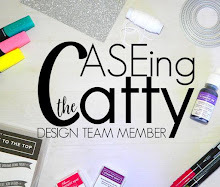 Hello and Welcome to another Sunday Night Blog Hop and Challenge Caseing the Catty. 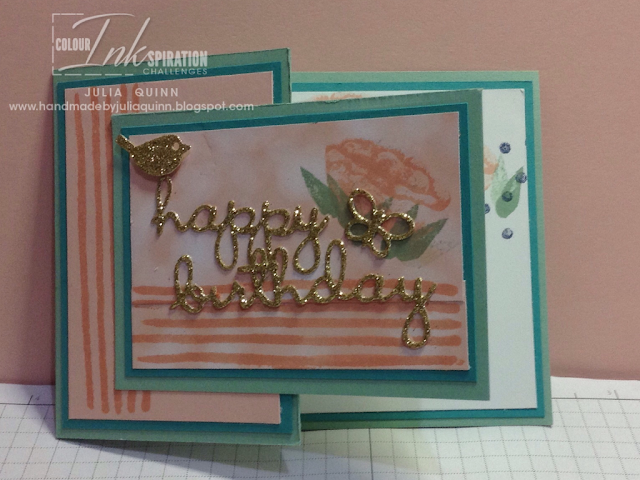 Our challenge is about using our catalogues to CASE gorgeous projects. To CASE is to Copy And Selectively Edit or to Copy And Share Everything. This week, we are inspiring you with an Easter CASE. 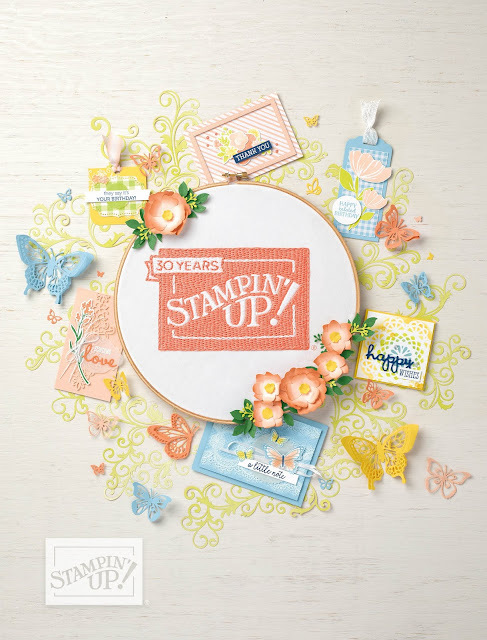 My project was inspired by the Hold Onto Hope stamp set and this illustration on page 63 of the Annual Catalogue. 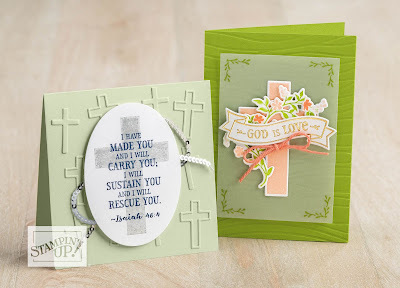 The picture on the right uses vellum and the lovely cross as a feature which was my starting point. 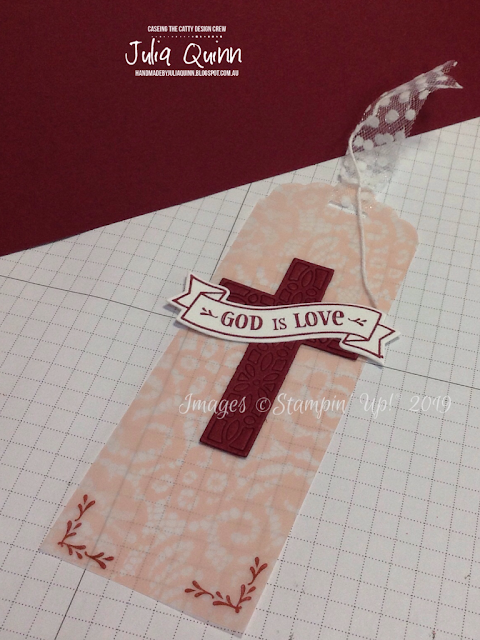 I've used the gorgeous Floral Romance printed vellum for a bookmark. It was cut at 6" x 2" and then punched using the Scallop Tag Topper punch. 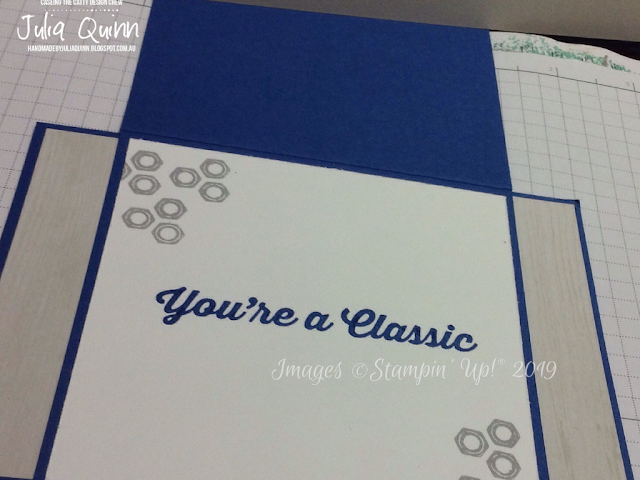 I've stamped the bottom corners with the delicate corner detail stamp using Merry Merlot ink as per the original project. 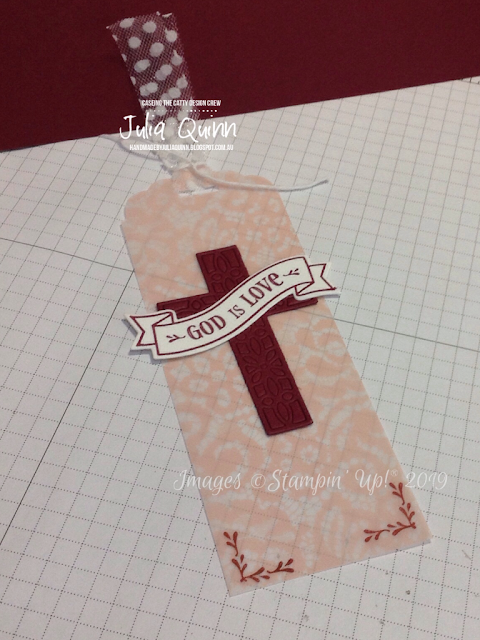 Instead of the stamped cross from the original project, I've used one of the die cut crosses in the coordinating Crosses of Hope framelits, kept all the pieces intact on the cross and added it to the centre of my bookmark. 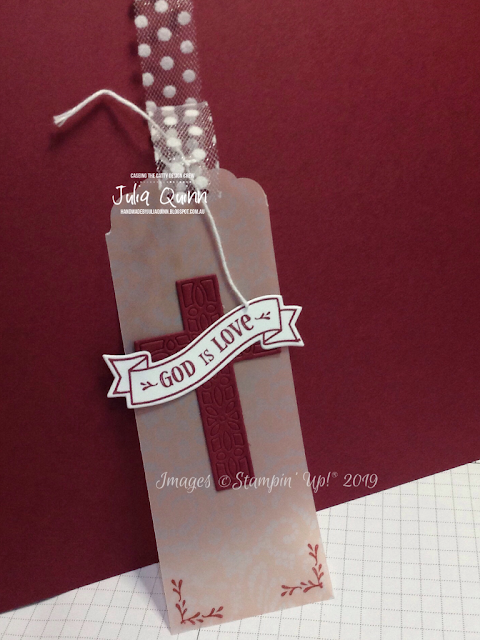 I've kept the same banner for my greeting, but not added any of the floral detail from the original card, as I wanted to show off the lovely detail of the die cut cross. My patterned vellum also adds quite a bit of added interest. The final touch was some lovely dotty ribbon tied with bakers twine to create a flatter knot at the top of the bookmark. My project is actually quite a lot simpler than the project I've CASED, but this simplicity works really well for me. I truly hope your Easter Sunday has been blessed with many joys. Now it's time for you hop along to see Siobhan who has some more Easter gorgeousness to inspire you!! Make sure you keep hopping through the whole team and see lots of amazing Easter creativity. We'd love you to join in the challenge with us too. It's easy to add your project photo to our facebook challenge page, and we love all your projects!!! 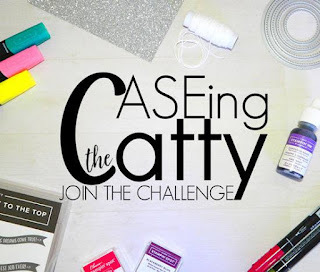 Hello and Welcome to our Sunday Night Blog Hop and Challenge CASEing the Catty. To CASE is to Copy And Selectively Edit or to Copy And Share Everything. 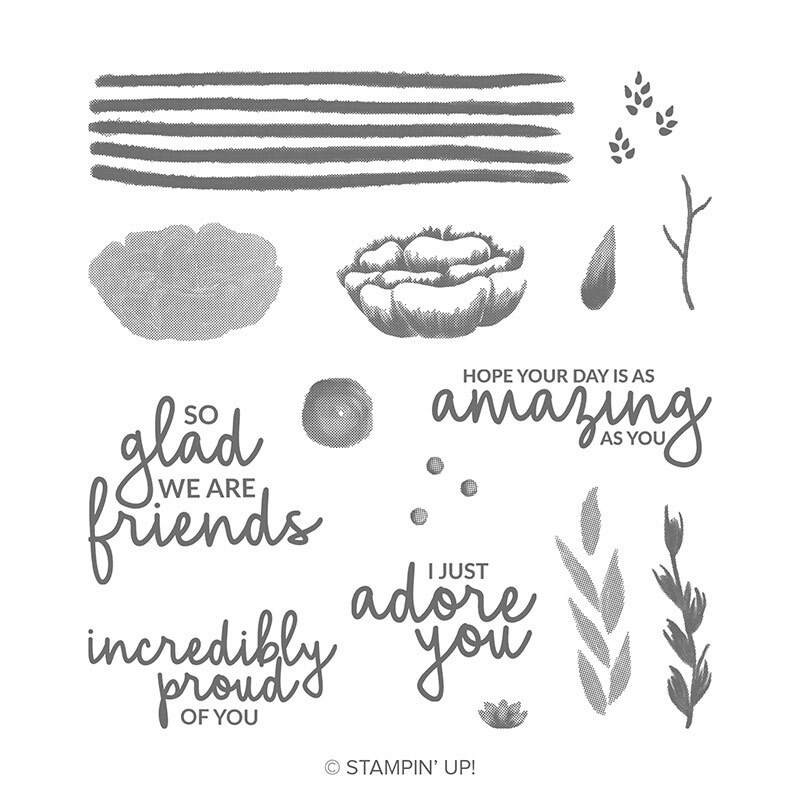 We love to CASE from our amazingly inspirational Stampin' Up! Catalogues!! This week, we are CASEing from the Occasions Catalogue and looking at the Big Shot projects for inspiration. I am using the front cover for my inspiration - and that cute little blue card right at the very bottom of the image. It features one of my favourites - Butterfly Gala. The layout is the same. I've changed some of the elements according to what I have here and changed the colours accordingly. 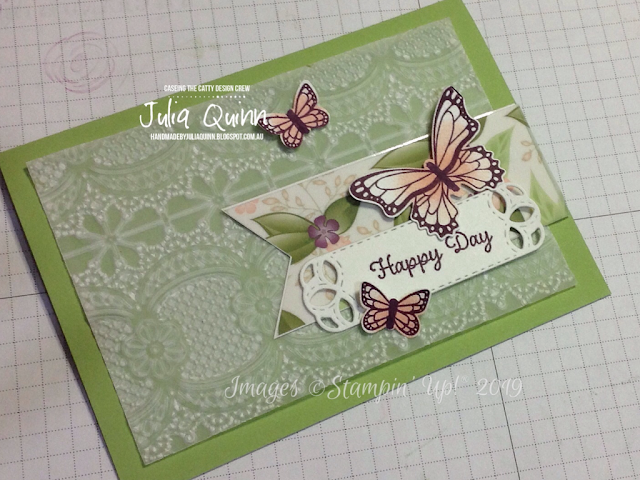 Instead of the ribbon detail under the butterflies, I've used some of the DIVINE Floral Romance printed vellum DSP mounted onto white cardstock (to show it off well) and cut into a flag using the Triple Banner Punch. 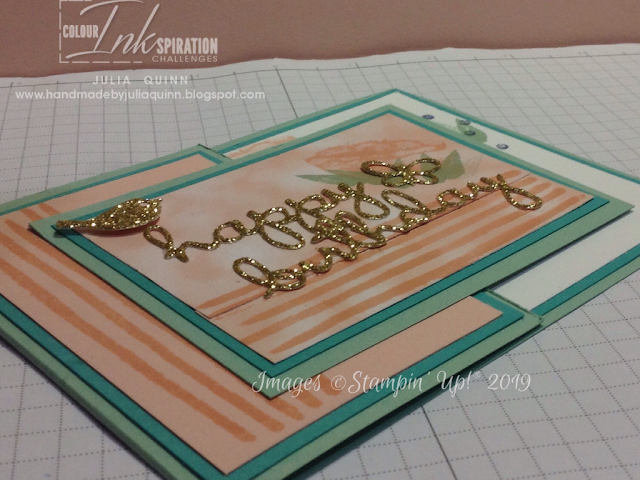 I have embossed vellum using the Lace Dynamic folder for my background piece. 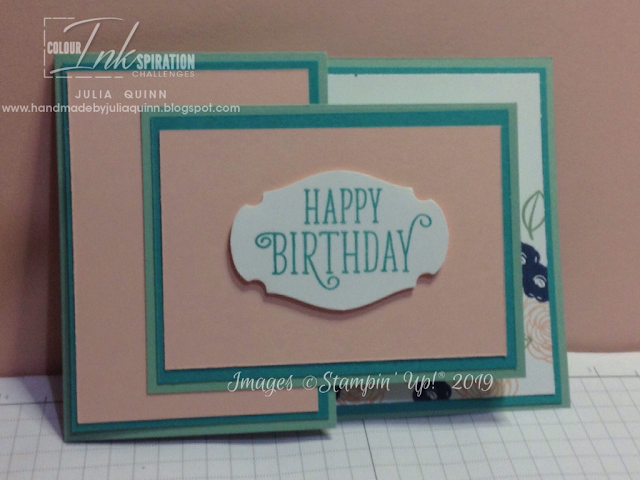 The greeting comes from Itty Bitty Birthdays and has been stamped onto a Stitched Label die cut piece. 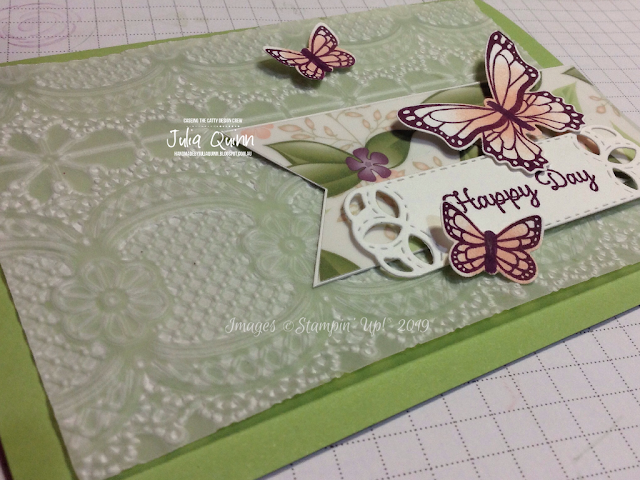 I love the sponged butterflies and this was one of the things that attracted me to the original project. They were stamped with Blackberry Bliss and then sponged with Petal Pink using a sponge dauber. 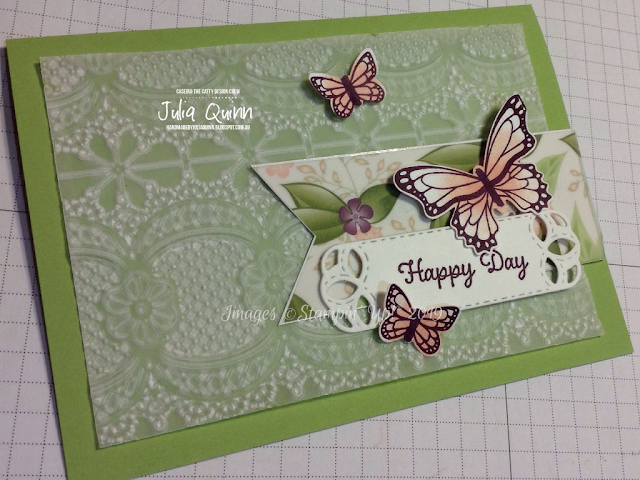 After you punch out the butterflies with the coordinating punch, the sponging gives a lovely edge. I hope you've been inspired to have a go too!! UP next for some more amazing inspiration is the amazing Kelly!! After you've hopped through the whole team, please join in the fun with us and add your project to our facebook challenge page. 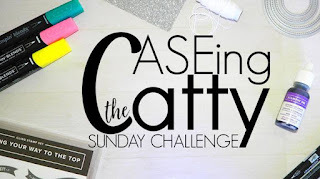 Hello and Welcome to another awesome Sunday Night Blog Hop and Challenge CASEing the Catty. 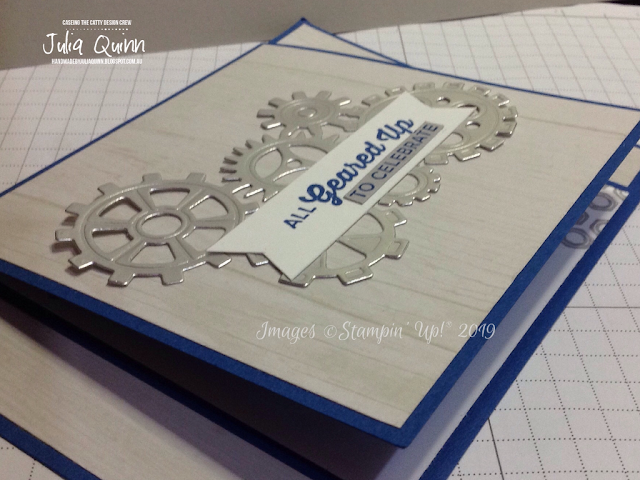 To CASE is to Copy And Selectively Edit or to Copy And Share Everything, and we love to be inspired by our Stampin' Up! 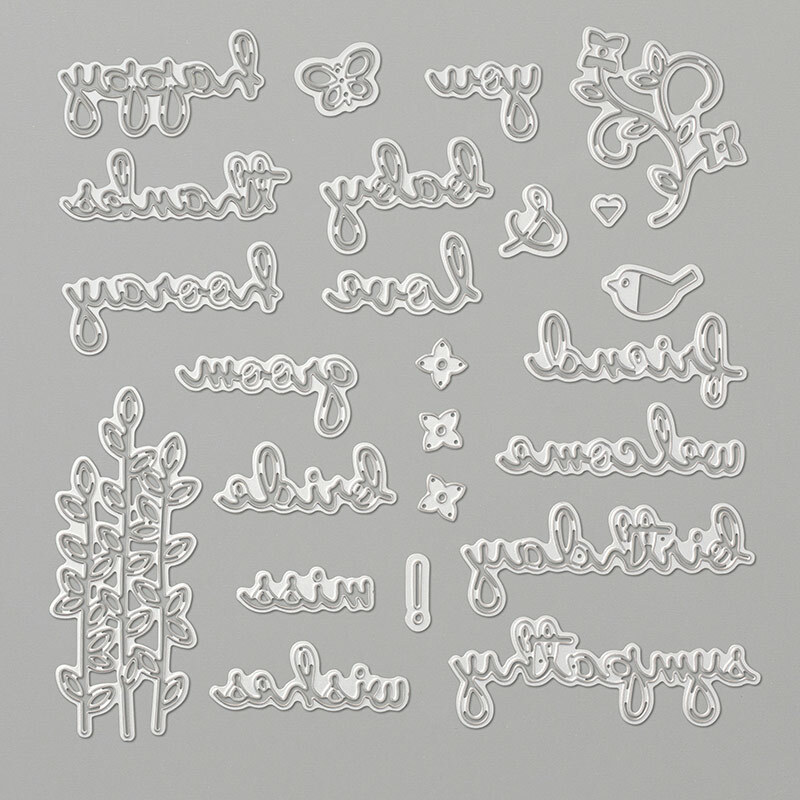 catalogues which are full of amazing projects and ideas that can be CASED. This week we are CASEing from the Classic Garage Chapter of the Occasions Catalogue. And I"ve been inspired by that lovely motorcycle card at the top of the display. I've created a much simpler version and made it into a bit of a fancy fold card. 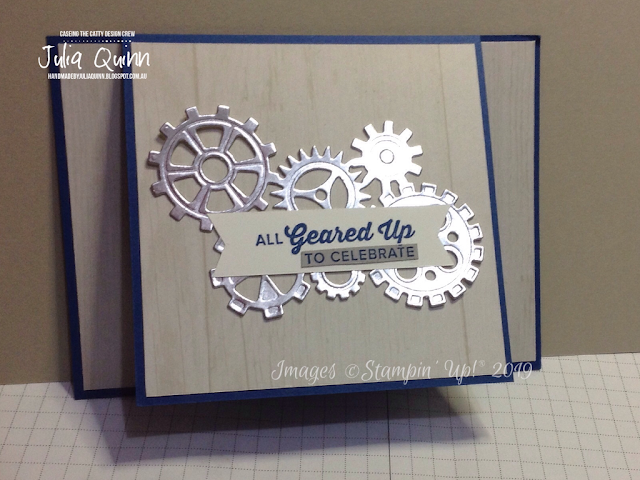 My card features only my favourite die - the bunch of gears cut from Silver Foil and the greeting banner for the front of the card. 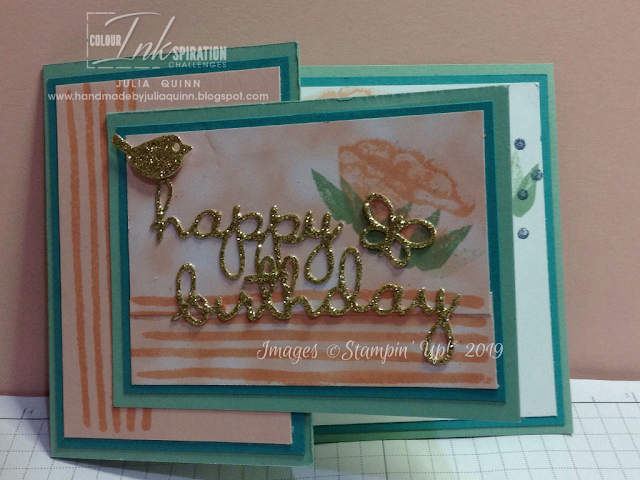 The inside is simple stamping. Some of the ladies who created this in class also added the car image for the inside too which looked brilliant!! Up next is the amazing Sandra and her project inspired by the Classic Garage Chapter. Make sure you keep hopping around everyone in the team - there's some fabulous projects!!! You are also invited to join in the fun of the challenge and add your project photo to our facebook challenge page when you create using this chapter for inspiration!! !